Berkeley, California and Bay Area training for corporate, private, and group clients. "Very strongly grounded and well taught Iyengar yoga." "Friendly, not intimidating, attentive, knowledgeable!" "Anneke is a fantastic teacher. So knowledgable and radiantly positive. She makes the class so much fun, and also builds community. I love that she makes such an effort to get to know her students." "Anneke is an incredible teacher. She knows everyone's name as well as their issues, and builds every class to challenge and support us. Nearly every class I have a revelation about my practice. Thank you for all you do!" Anneke Faas has provided yoga classes in Berkeley, New York City, Santa Fe, and Denver. She began teaching in 2002. 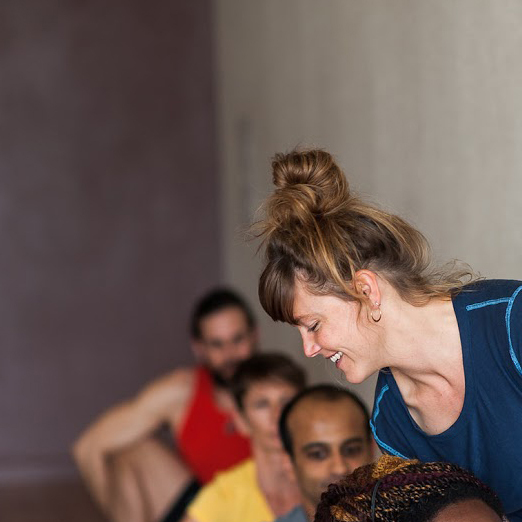 Anneke has made the Bay Area her home and the center of her teaching practice since 2012. Sign up to receive Anneke's series and workshop schedule in your inbox.